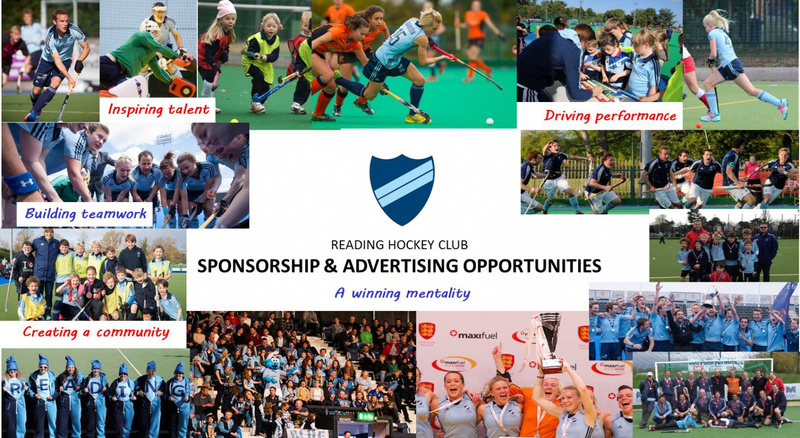 Reading Hockey Club is always looking for sponsors to help us develop our club and facilities. We are one of the Premier clubs in the Country. At an elite level, both the men's and ladies teams compete in the national premier league, and many of our players represent England and GB. As a club we have over 1000 members, and a thriving junior section. Our club is an integral part of our community with connections to over 100 schools, local universities and of course our pitches and facilities which attract hundreds of visitors every week. So what are the benefits of sponsorship to you? We have a number of different sponsorship packages available, as well as opportunities for companies to advertise.